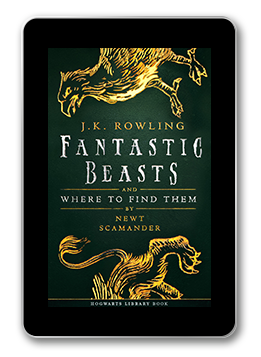 An approved textbook at Hogwarts School of Witchcraft and Wizardry since publication, Newt Scamander’s masterpiece has entertained wizarding families through the generations. 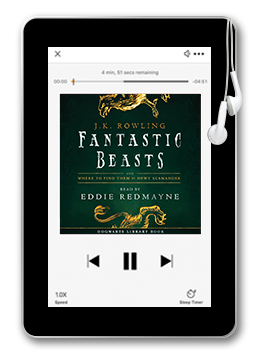 Fantastic Beasts & Where to Find Them is an indispensable introduction to the magical beasts of the wizarding world. 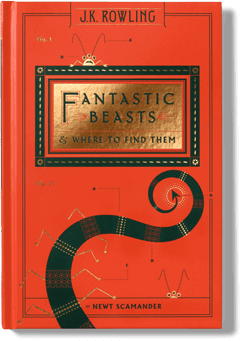 Scamander’s years of travel and research have created a tome of unparalleled importance. Some of the beasts will be familiar to readers of the Harry Potter books – the Hippogriff, the Basilisk, the Hungarian Horntail … Others will surprise even the most ardent amateur magizoologist. Dip in to discover the curious habits of magical beasts across five continents. 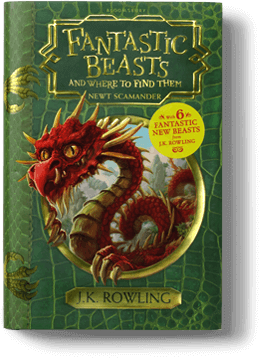 Fantastic Beasts & Where to Find Them first appeared as the title of one of Harry Potter’s school books within the novels. It was published by Bloomsbury Children’s Books and Scholastic along with Quidditch Through The Ages in March 2001 in aid of Comic Relief. A new edition, with new foreword and content by J.K. Rowling, was published in March 2017.